Free schools are underperforming compared to all schools inspected by Ofsted. According to education secretary Michael Gove, the new free schools set up by the coalition government are “beacons of excellence” which are “driving up standards everywhere”. 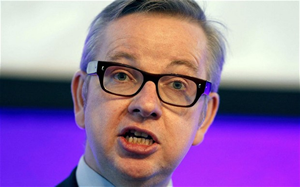 Here is Gove making the same point. And yet according to new figures from Ofsted, free schools are actually underperforming compared to all schools inspected by the regulator. 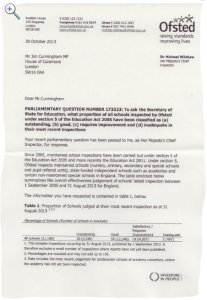 According to an answer by Ofsted to a parliamentary question from Jim Cunningham MP, 16 per cent of free schools were rated as ‘outstanding’ compared to 20 per cent of all schools. 56 per cent of free schools were also rated as good compared to 58 per cent of all schools; and 19 per cent of free schools were rated as ‘satisfactory/requires improvement’ compared to 20 per cent of all schools. 8 per cent of free schools were rated as ‘poor’ by Ofsted, compared to just 2 per cent of all schools. The Al Madinah free school in Derby, which was found by Ofsted to be ‘dysfunctional’. It was revealed that “most of the primary school teachers have not taught before” and large numbers of “unqualified staff desperately need better support and training”. Discovery New School in Crawley was branded “inadequate” by Ofsted, with just three out of seven teaching staff at the school possessing a PGCE qualification. 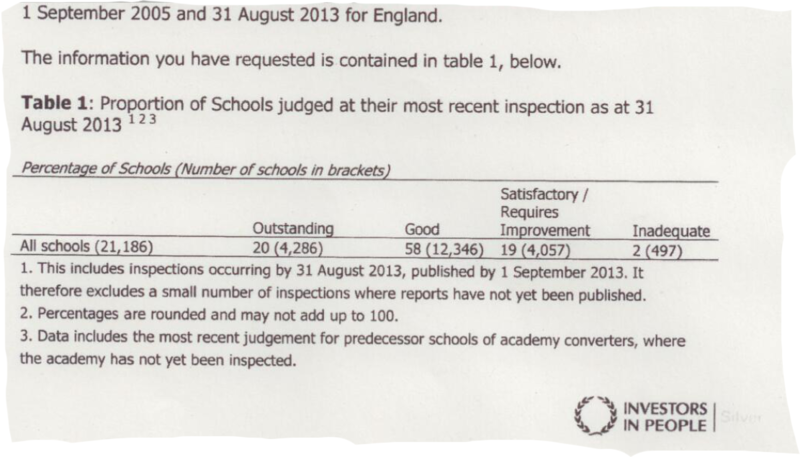 At the time of their Ofsted inspection, this figure was just two out of seven. Further visits by Ofsted also questioned the school’s ability to improve. Maharishi Free School in Lancashire, which teaches transcendental meditation, failed to enter its pupils for SATs tests in summer 2012. Their reason for this was that the Free School application process did not make it clear that SATs were mandatory. Sandbach School is a secondary Free School that opened in September 2011 in Cheshire East. In 2012, 52 per cent of pupils achieved the floor standard of 5 GCSEs at grade C or above including English and maths, compared to the 62 per cent average across the local authority. Following an Ofsted inspection in 2012, the school was found to be requiring improvement. Ofsted criticised the school for “inconsistent” pupil achievement, “variable” marking and “an overgenerous view of its performance”. UKIP policy is to reintroduce grammar schools which is the best system and allow working class people an opportunity based on ability. Express petition to stop EU immigration. Over 85,000 have signed. Oh well, another flagship Tory Policy bites the dust. No doubt Gove will be tutrning up at the dispatch Box and apologising. The sample size is so small that to take % is pretty meaningless – and that applies to Cameron & Gove as well. however, how can they say 2/3 good and adequate is better than the norm when the norm is 78%?